The UK is scheduled to leave the EU on 29 March 2019. This means that freedom of movement – which gives British musicians the right to work across Europe without the need for a visa – may end. If British musicians cannot work easily in the EU, this will damage the UK’s cultural influence and threaten our world-class music industry. The UK’s globally-dominant music industry contributes £4.4 billion a year to the UK economy. It forms a central part of our creative industries which, valued at £92 billion a year to the UK economy, are worth more than the automotive, aerospace, life sciences, oil and gas industries combined. Why do visas damage musicians’ work? More than a third of musicians told the ISM that they had experienced difficulties with visas when travelling outside the EU. In fact, of those experiencing difficulties, 79% of those identified visas as the source of those difficulties. How can we Save Music? If freedom of movement isn’t maintained for musicians, then we need a two year work visa. This would allow British musicians to collaborate with European musicians and perform for European audiences without needing to organise a visa for every trip they make. Given that musicians’ work in Europe can often be organised at very short notice, a visa that is valid for two years is vital. Musicians will lose work if they need to have a visa application processed for every trip they make. 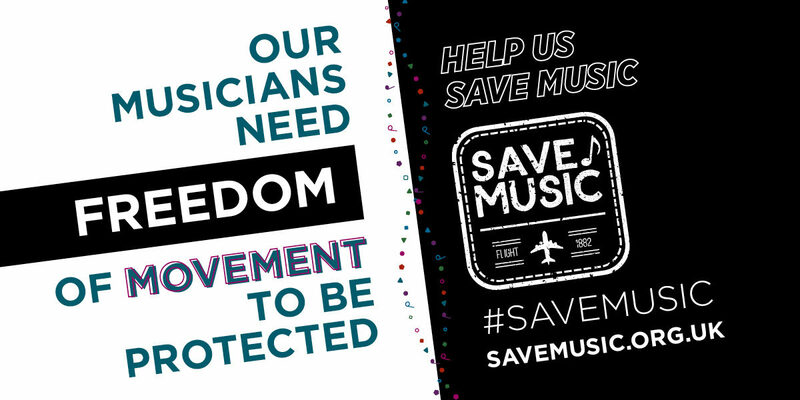 Write to your MP and tell them how important it is that freedom of movement is maintained for musicians after Brexit. Tell them that if freedom of movement isn’t maintained, musicians need a two year work visa so that they can continue to work in Europe. You can use our template letter or write your own.